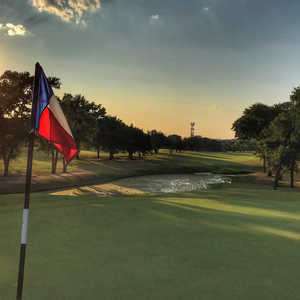 GolfTexas.com - The Golf Club at Star Ranch: Austin's Newest is Sure to Be One of Austin's Finest- Texas Golf Guide, Dallas, Fort Worth, San Antonio, Austin, Golf Travel, Golf Vacation Packages, Golf News &amp; Reviews, Golf Resorts. There are various types of ratings on a golf course including slope, speed of the greens or stimp, and even the degrees of difficulty of the holes, or handicap. For Austin's newest golf course, The Golf Club at Star Ranch, there is only one rating that is suitable for the 7,017-yard, par-71 championship daily fee course - stars - and it gets four of them. 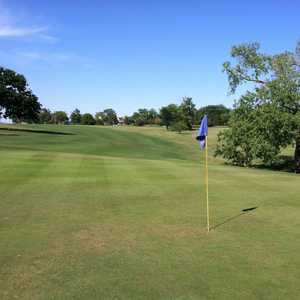 Located northeast of Austin near Hutto on land where cattle once grazed, course designers Roy Bechtol and Carter Morrish have transformed this former pasture land into a jewel of a golf course and one that will definitely cause the competition many sleepless nights. Set on gently rolling terrain with spectacular views, The Golf Club at Star Ranch, which is managed by Arnold Palmer Management, features two lakes, smooth rolling Tif Sport fairways, challenging Tif Eagle greens, and more than 60 contoured white-sand bunkers. 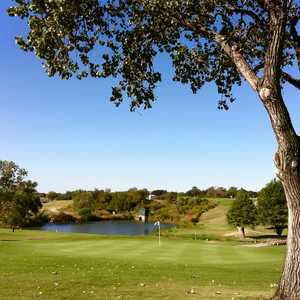 From the ranch-style Austin stone clubhouse, which is set on a hilltop perch and the former location of an original 1902 homestead, you get a panoramic vista of more than 20 miles and a good look at half the holes on the course. Once you're done enjoying the views and checking out the clubhouse, it's off to No. 1, a par 4, dogleg-right, of 398 yards. This hole, like the clubhouse and several holes throughout the course, offers an incredible view of the surrounding countryside. Off the elevated tee box of No. 1, you can pull out your driver and give it a rip. Three fairway bunkers are located at the bend of this dogleg right, but they can be cleared with a well-struck tee shot. If you ever have any question about the layout of a hole or even the potential hazards of a hole, your cart has the answer. Each cart features a display that provides an extremely sharp graphic of the hole and includes hole distances as well as distances to specific points or potential hazards on the hole. It also allows you to keep your score electronically and if you desire, you can order a burger before you reach the clubhouse at the turn. After a pair of par 4s, one slightly uphill and one downhill, No. 4 is the first par 3 at a distance of 177 yards. The distance by itself is not difficult to manage. What can pose a problem is the location of the green. Elevated above the tee box, the green and subsequent pin placement are blind. Any tee shot hitting the green is a success on this hole and the medium-size putting surface should allow you a good chance at par. Following the opening four holes are three holes - Nos. 5 through 7 - which designers Bechtol and Morrish refer to as one of a pair of signature "bookends" on the course. The other is on the back side and features hole Nos. 13, 14, and 15. Bechtol said Nos. 5, 6, and 7, which are essentially located on the outer perimeter of the course and begin your return back to the clubhouse, were all designed around Brushy Creek. He said they were very aware of the nearby creek and wanted to incorporate the environmentally sensitive area into the design. "We worked with the creek and I think it adds to the course." Definitely. To do this, Bechtol and Morrish designed No. 5, a par 5 of 582 yards that plays uphill, to run parallel to the creek on the left of the entire length of the hole. The creek is somewhat hidden from view as a line of trees run alongside the creek. The reasonably wide fairway, which provides a good roll, offers plenty of room away from the creek and only the most errant of shots to the left will find it. Its length and slope make this the No. 1 handicap hole. Next on the bookend is No. 6. This is one of several incredible holes at The Golf Club at Star Ranch. This short par 4 of 357 yards features a man-made lake to the left that was created by damming up the creek. Those daring enough can attempt to cut the corner of the water with the hopes of leaving a short wedge into the green. Those less adventurous can play the layout of the hole and still have a rather short shot into the green, which is guarded by the lake on the left and several bunkers to the right. To close out the first bookend is No. 7, a par 3 of 189 yards. The lake, once again, sits on the left and is in play. According to Bechtol, the lake was designed with a hydrophilic plant shelf below the surface of the water, which in the future will allow natural plant life to grow and provide a native look. "This pond will eventually have its own ecosystem," he said. Even without plant growth in its early stages, the pond provides a beautiful backdrop to hole Nos. 6 and 7. After the longish par 4 of 474 yards on No. 8, which is lined by trees on both sides, No. 9 is a quality finishing hole. This slight dogleg to the right is uphill to a green that sits just in front of the clubhouse and the outdoor pavilion. Off the tee, you are hitting to a fairway that features a group of trees and marsh to the right, and tall grass to the left. Your approach is to a blind green that is protected by several bunkers to the right. Following your break in the clubhouse, it's off to another scenic nine holes. No. 10, like its counterpart starting hole on the front side, is a dogleg-right and offers an incredible view of the course and surrounding landscape. Enjoy the scenery before you embark on your next nine-hole journey. This par 4 of 453 yard plays downhill and several fairway bunkers to the left can be in play. Otherwise, a solid straight shot off the tee will leave you with a short iron into the green. Following No. 10, or a hole where you can swing away off the tee, is the par-4, 446-yard No. 11. This hole can cause some consternation standing on the tee box as a small lake runs along the right side of the hole. However, like Bechtol and Morrish did on all the holes, there is plenty of area to shoot at in the fairway. In addition, the yardage markers, or striped poles that are used to indicate the distance to the green, are all located in the middle of the fairway and provide a precise target at which to aim off the tee. A well-struck tee shot can ease your fear and earn you a par on this hole. If you do shoot par, consider it a job well done because No. 11 is rated the second most difficult hole on the course. The bookend on the back side at The Golf Club at Star Ranch is every bit equal to its counterpart on the front side. To start, No. 13 is a challenging par 5 of 532 yards. This slight dogleg-right features a large tree to the left and trees and tall grass to the right off the tee. Trees run the entire length of this hole on both sides and Brushy Creek is hidden within the trees on the right side. If there were a definitive signature hole on the course, Nos. 14 and 15 would vie for the title. No. 14 is a par 4 of 376 yards that plays downhill. A low iron is recommended off the tee to avoid a cluster of fairway bunkers to the left and to place your ball in a position for an accurate approach into the green. The green is narrow from front to back and features a natural rock-lined creek bank in front and a landscaped area with a variety of plant life including cactus in the back. Make sure you hit the right club on your approach or you could be wet or in the plants. No. 15 is as attractive as its predecessor. This par 3 of 170 yards features another rock-lined wall with the creek on your right. Again, enjoy the scenery on this hole before you hit.